At Pro-Air Medical Supply & Equipment, our healthcare staff is focused on educating and caring for the people in our community. Don’t suffer with sleep apnea. We will work with you and your doctor to determine the best solution for your unique needs. PRO-AIR can help you to regain your mobility! We offer affordable mobility solutions to our clients.  We offer standard wheelchairs, transport chairs and bariatric wheelchairs designed to support up to 700lbs. PRO-AIR is your source for oxygen equipment. Our expert staff can help you to identify and source the oxygen equipment you need. We offer a variety of walking aid solutions that can help you regain your independence. We have many walker and cane solutions in stock. Equipment for your breathing treatment needs. We offer equipment options for asthma patients and individuals who require regular breathing treatments. WHY CHOOSE PRO-AIR FOR YOUR OXYGEN AND MEDICAL EQUIPMENT NEEDS? Whether you have sleep apnea or need oxygen for other treatments, you can count on PRO-AIR to provide you with the portable oxygen, equipment, and accessories you need. We at PRO-AIR want to make sure you continue to have the ability to be active with your lifestyle.  PRO-AIR makes it easy for you to have consistent delivery of all of your needed oxygen items. Our goal is to allow you to focus on what’s important to you, while we take care of your therapy needs. Sleep apnea patients use a positive airway pressure machine, including CPAP and Bilevel (BIPAP). Let our staff at PRO-AIR help you find the best solution for treating your unique needs. CPAP is the acronym for Continuous Positive Airway Pressure. CPAP is the most common treatment for obstructive sleep apnea (OSA).  BIPAP is the acronym for Bilevel Positive Airway Pressure. While CPAP machines deliver one level of air pressure, Bilevel (BIPAP) delivers two levels of air pressure. The two levels include Inspiratory positive airway pressure (IPAP) and expiratory positive airway pressure (EPAP). Bilevel (BIPAP) serves users with complex sleep apnea. If you have breathing difficulties, a nebulizer is one option of treatment you and your doctor might consider. Nebulizers are designed to help rescue you from asthma attacks, but they also provide maintenance to prevent acute asthma attacks. The medicated mist created by the Nebulizer may make it easier to inhale than the spray from an inhaler. During an asthma attack or shortness of breath, it can be difficult to take deep breaths. While an inhaler requires you to take a deep breath, nebulizers do not. Wheelchair solutions for transport chairs, standard wheelchairs and Bariatric wheelchairs. We offer trusted and dependable brands of walkers and canes designed to accommodate your unique needs. We offer a variety of hospital bed solutions for in-home use. Let us help you select the option that best fits your needs. Pro-Air offers high quality, attractively designed powered lift chairs. We can offer you a furniture solution that will add value to your life by helping you to transition from a sitting to standing state more easily.